And so begins my love hate relationship with the Christmas season. Understand, I’m not a Grinch by any means. There are some things I absolutely love about Christmas. But at the same time, some things just make me crazy! I love the music. 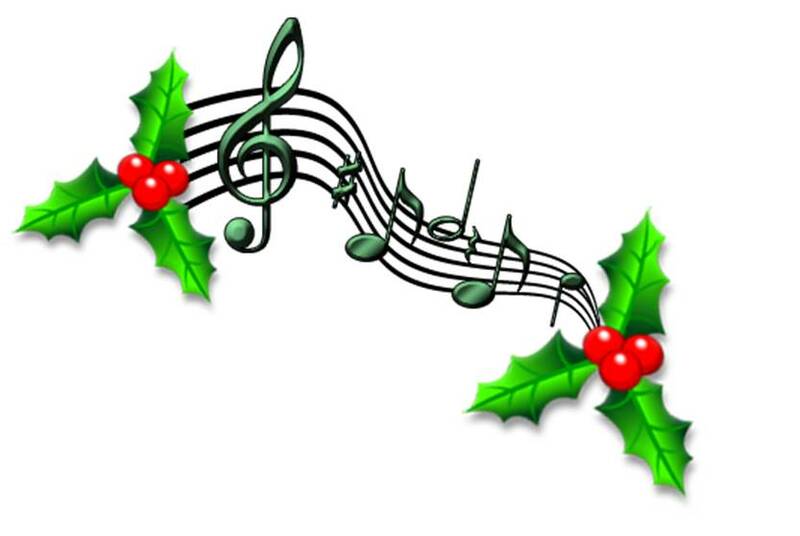 I start listening to Christmas music right after Thanksgiving. I have satellite radio and they dedicate several channels to solid Christmas music. I put it on the autotune selections and I scroll through all my favorites. When I taught school my room was full of computers. 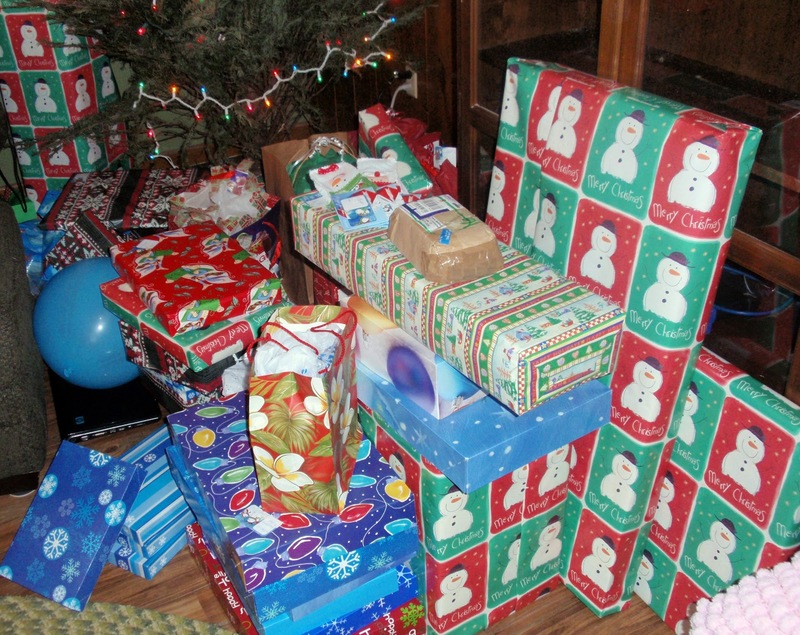 I had all kinds of Christmas CDs, some good, some not so good. I would put them in and play them in the background during class when school started back after Thanksgiving until the Christmas break. At first some of the kids would resist. They had some silly idea I was trying to torture them! But after a day or two even the most resistant would be humming along. I like the lights. 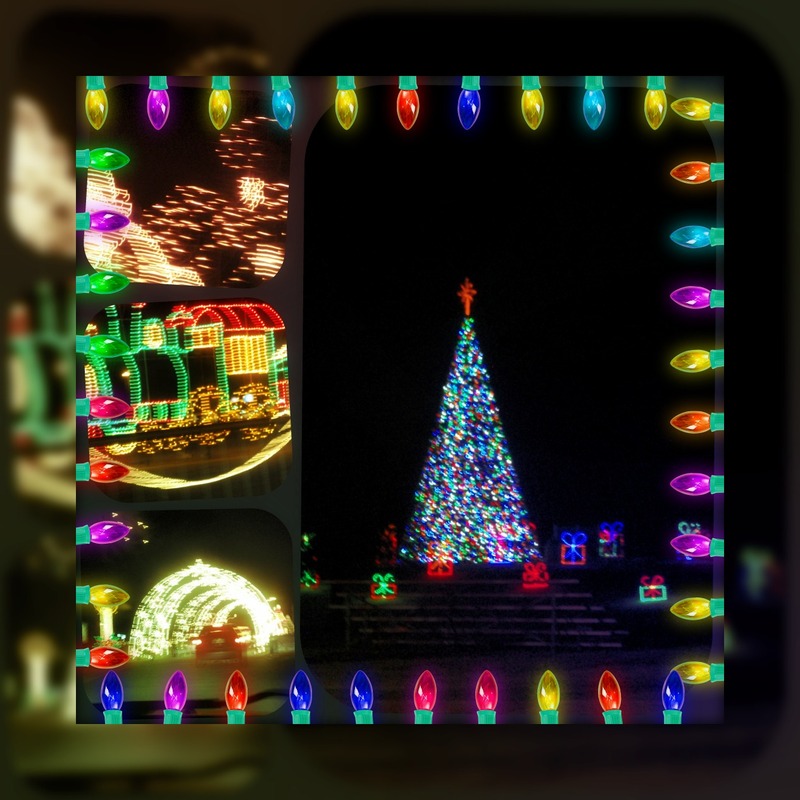 There’s a park on the south side of Odessa that sets up elaborate light displays. I come home that way every day. I was a bit late the other day and it was dark. I could see the lights at the intersection where I turn. So I didn’t turn. I went straight and I waited in line and drove through the park. I had a good time! It would have been more fun had I had company but when my oldest son gets home I know he and I will go again. We don’t put up lights at our house. Not outside lights anyway. We did once and I really don’t know why we didn’t ever again. We live outside town so there isn’t any peer pressure from the neighbors to do much outside decorating. It’s a good thing. Nobody has the time now. Instead, I enjoy the generosity of others who are so generous with their lights. And I’m thankful they continue to go to the trouble. I love the inside decorations. 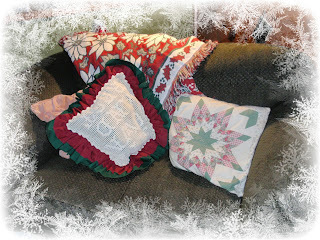 When I pull out the red and green afghans and blankets and pillows and put them on the chairs I get a cozy feeling. I like spreading the knick knacks throughout the house. I like the smell of the spicy candles and the light of their flickering flames. I like the many trinkets that have amassed through the years and take pleasure in the memories as I unwrap each one and place it on the tree. 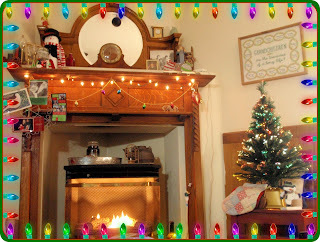 I like the twinkling lights. I don’t care if they are white or multi colored as long as there are plenty. I even like icicles, the silvery strands draped across the branches. When we’re lucky enough to have a cut tree I love the smell of the pine. I love snowmen. 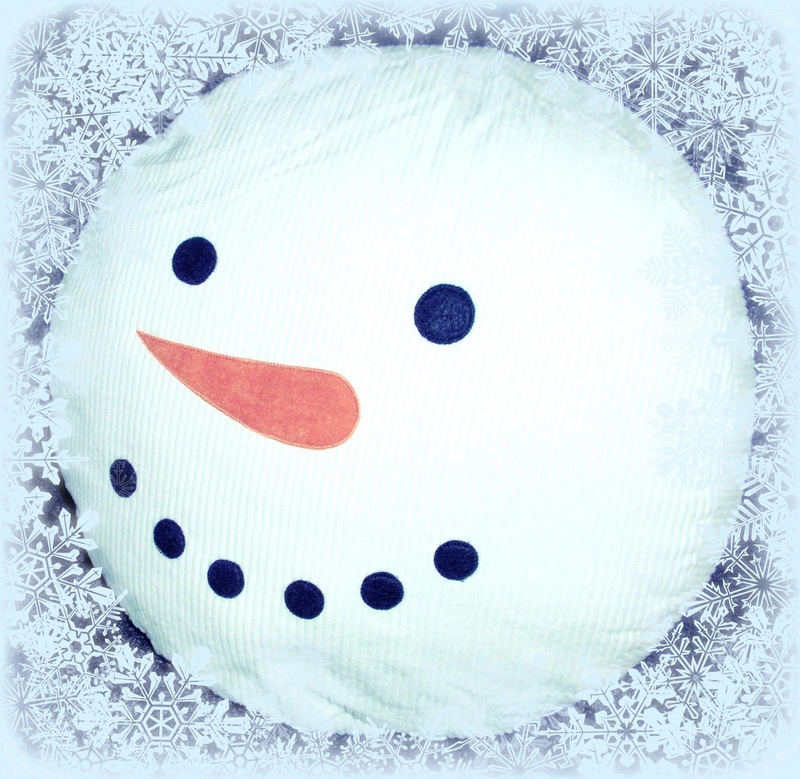 I really love snowmen! I have snowmen dishes. I have snowmen figurines. I have a snowman wreath. I have all kinds of snowmen. I have bathroom snowmen and kitchen snowmen and bedroom snowmen. Snowmen are lovable and I like the fact that they can be legitimately left out through the end of January. I have a lot of snowmen. So many, in fact, that I have found a stray in April or May that somehow was forgotten when the others were returned to their boxes. And if it’s cold the day of the find, well, that makes it okay! I like presents, both giving and receiving. I like how it feels to find something that I know is just perfect for that certain someone. I like watching the expression as the gift is unwrapped. I like the look of surprise and pleasure as they gaze at the treasure. I like opening a present that someone took time to think about. I’ll wait until I have everything that was meant for me. Then I’ll tear the paper to reveal the surprise. I especially like gifts from the heart. But mostly I like that someone thought about me. I have an idea of the perfect Christmas in my mind and it’s never going to happen that way, no matter how hard I try. I won’t have all the presents wrapped. I don’t like to wrap and I put it off. Sometimes I’ll get some help and sometimes not. The house won’t be clean enough. It probably is clean enough but it won’t be to me. I’ll see things that should have been done. I’ll worry about it and fret until my stomach hurts. I won’t have all the food done on time. I’ll cook and wash dishes and cook and wash dishes and then do it all again. I’ll run out of time and I’ll stay up til all hours, catch a two or three hour nap and then get started again. I’ll be stressed. I’ll look for a place to hide and I’ll cry. I know that I bring on most of the stress myself because of that perfect Christmas that’s never going to happen. Nobody else seems to worry about any of it so why should I? Nobody is going to go hungry. Everyone gets a present. There’s a place to sleep and there will be plenty of blankets and clean towels for all. And if I hurry maybe I’ll get it all done. Christmas is a time of celebration, not just something to get through. I’ll remember that when we’re all together. We’ll eat and play and have a good time. We’ll talk of Christmas past. We’ll laugh and plan for Christmas yet to come. And we’ll love and enjoy our gift, Christmas present. I belong to a Yahoo knitting group. It’s ladies from across the state and I’ve made a bunch of friends, virtually and also in person. It’s called Lone Star State Knitters and if you are a female Texas knitter then it’s open to you! We get together for a face to face meeting at least once a year. Other times, at fiber festivals and the like, if we can, we meet up. 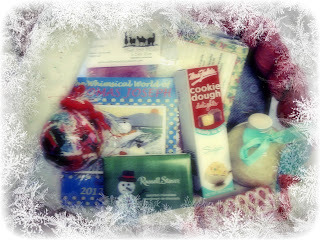 Another annual activity we do is our Secret Santa exchange. It’s voluntary and it’s a lot of fun. I’m getting my box ready to send off. I hope she likes what I picked! I made a simple ornament for her that I really liked. It’s a clear ball from Michael’s (or a similar store). I stuffed it with bits of yarn. I gathered the yarn and cut it into little pieces. Then I stuffed it all down into the clear plastic ball. I put the lid back on, tied a couple of pieces of yarn around the top and voila! A yarny ornament for Christmas! Look at some other great ideas over at Our Creative Spaces. Clear ball stuffed with Christmas yarn scraps. Ha ha Karmi84...if we could all take our own advice!! 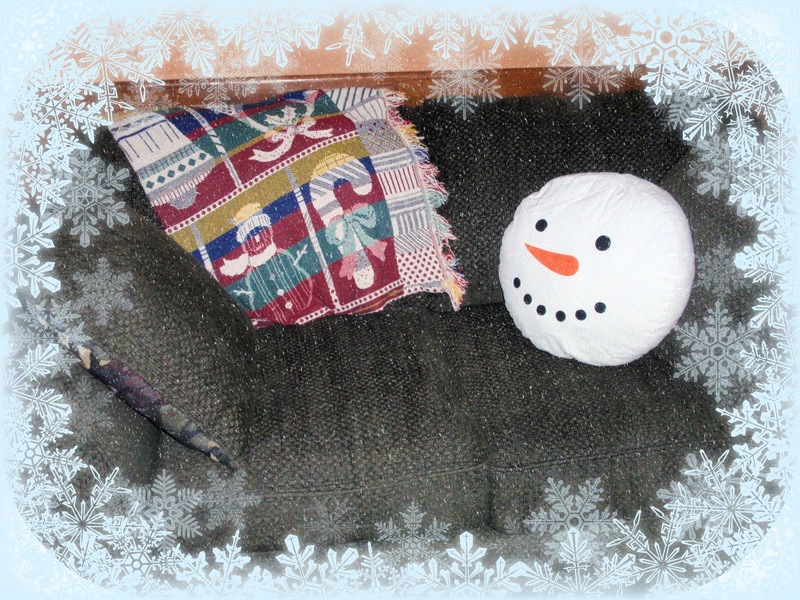 BTW - my MIL loved snowmen too...and there is quite a collection at her house.